Eric Goodrich was born in Hagerstown, MD on August 5th 1996. While in High School Eric went to the Franklin County Career Tech Center to take up the profession of an Automotive Technician. 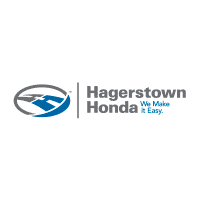 He started at Hagerstown Honda in December of 2014 as a quick lube technician, and eventually worked his way into the shop helping some of the veteran technicians. 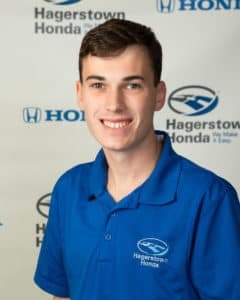 May of 2017 a position for the quick lube service advisor became available, so Eric took the opportunity and that is where he is today at Honda. Outside of Honda, Eric enjoys doing photography as his hobby, spending time at home with his girlfriend Rachael, and working on his own cars.